Senior pitcher Julia Voluntad limited the Bears offense to just four hits, recorded two strikeouts and picked up her sixth victory of the season. 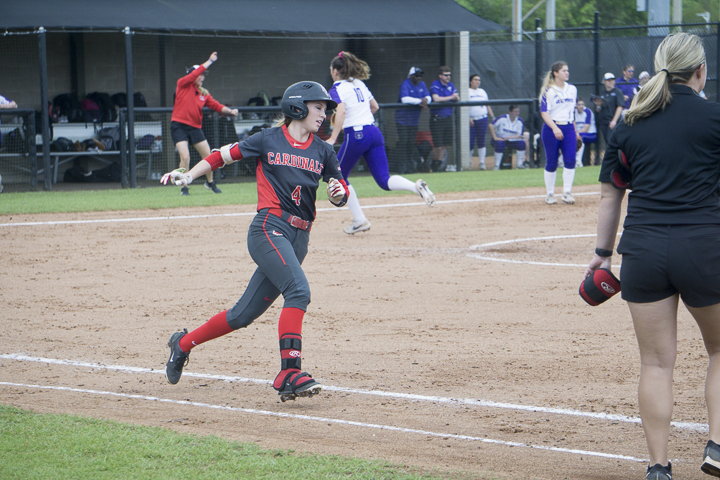 Senior shortstop Savana Guidry singled in the only run of the game in the third inning. In the top of the first, Voluntad came out and got the Bears to ground into two outs. Bears second baseman Libby Morris hit a line to right field where LU’s Savana Mata laid out to make a diving catch to end the inning. The Cards were looking to threaten the Bears in the bottom of the first. Second baseman Kelly Meeuwsen and centerfielder Shannon Klaus led off with back-to-back walks. A sac bunt from catcher Shaina Amir moved Meeuwsen to third and Klaus to second. However, LU could not get the run across as the score was tied at zero to end the inning. Central Arkansas looked to intimidate the Cards in the top of the third. After Voluntad got a ground out, Bears leftfielder Oakley Sisemore reached on first with an error. Bears shortstop Erin Blackburn followed the Sisemore error with a single to the left side putting two on. The next hitter for the Bears was centerfielder Kayla Crutchmer, who was called out for hitting the ball out of the box. 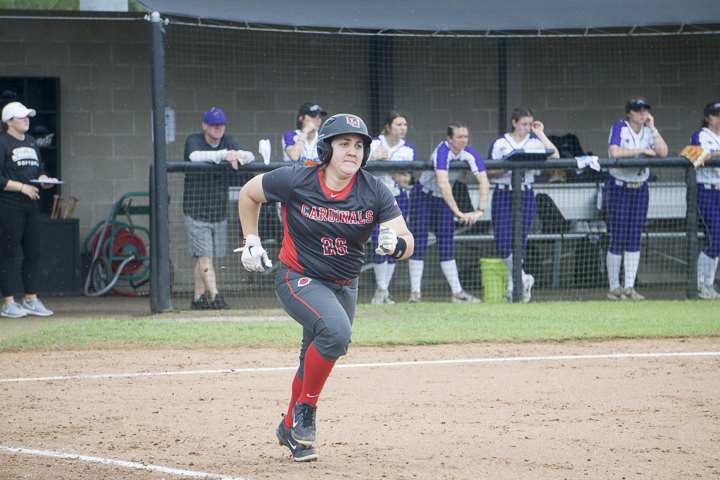 After Bears first baseman Kaylyn Shepard was hit by a pitch to load the bases, Voluntad quieted UCA by getting Morris to fly out to end the inning. 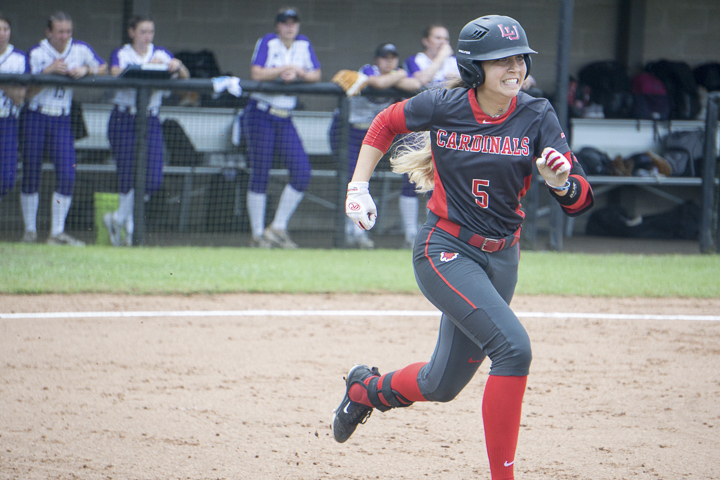 The Cardinals broke the tie in the bottom of the third, with two outs, when designated hitter Jade Lewis doubled to deep right. Guidry followed with a single up the middle that scored Lewis in, putting LU ahead, 1-0. In the top of the fifth, the Bears got a lead-off hit from Sisemore. However, Voluntad settled back in and struck out Blackburn. Bears pinch hitter Erin Acors came in to for Crutchmer, but grounded into a double play to end the inning. 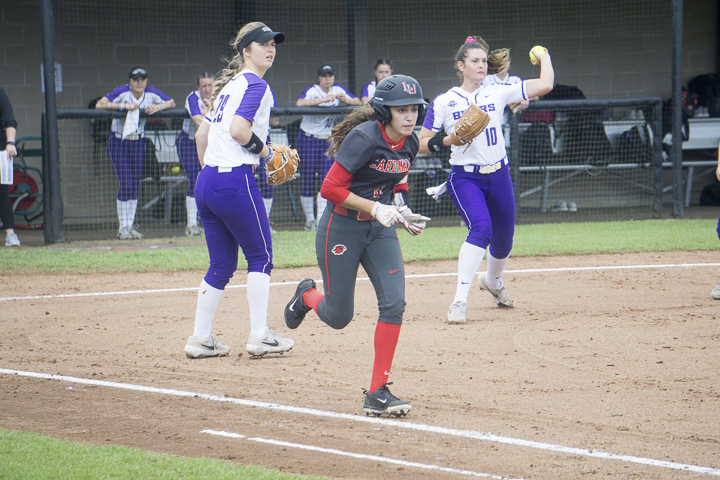 In the bottom of the fifth, with one out, Lamar put two runners on when Lewis singled through the left side for her second hit of the game, and Guidry reached first on an error. However, the next two Cardinals were retired, ending the threat. In the top of the sixth started like the fifth for the Bears, when Shepard singled into right field for the leadoff. Voluntad then got Morris to ground into a double play. Bears third basemen Cylla Hill followed with a single but Voluntad did not let her advance as Bears DH Lauren Brooks flew out to Guidry into foul territory. In the top of the seventh, Voluntad continue to limit the Bears at the plate as she got right fielder Morgan Felts to ground out to start the inning. Catcher Tylar Vernon reached on an error and went to second on a sacrifice bunt from Sisemore. With two outs and Vernon on second, Voluntad got Blackburn to ground out and LU came away with the victory. The Cardinals will return to action, Wednesday, when they travel to take on the University of Houston Cougars. First pitch is set for 6 p.m., from the Cougar Softball Stadium in Houston.